The wind is in your favor this season! 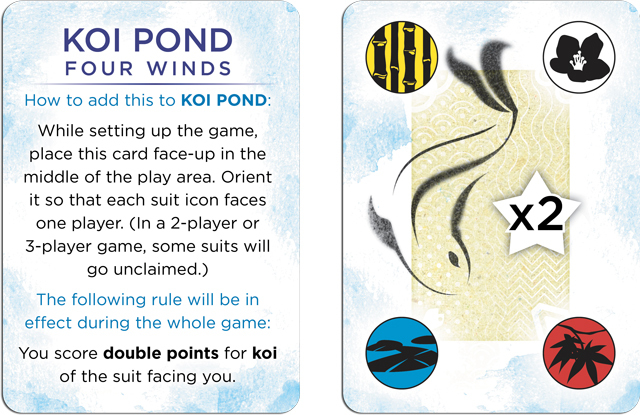 This one-card mini-expansion for KOI POND doubles the value of one color of koi! Watch out, because your opponents have their own valuable koi, too! Add this card to your existing Koi Pond game for fun new strategies! This title was added to our catalog on August 17, 2013.